What PPD Does Workers Compensation Pay for Neck Surgery? Surgery may be necessary if you suffer a serious neck injury at work. The decision about whether you need neck surgery and which type of surgery would be best for your should be made by you and your doctor. 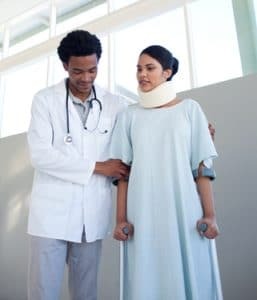 If workers compensation pays for your neck surgery, you may very well end up with some degree of permanent impairment as a result of your neck injury. 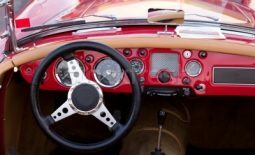 Under Georgia law, you should receive permanent partial disability benefits when you suffer a permanent impairment as a result of a work related injury. These permanent partial disability benefits provide some compensation for the permanent loss of use from your injury. 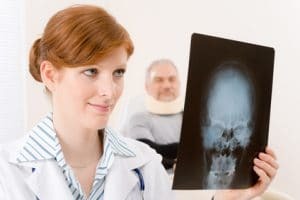 In this article, I am going to focus specifically on permanent partial disability benefits for neck injuries under Georgia law. 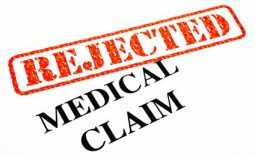 If you would like to find out more about permanent partial disability benefits (including when the insurance company pays them and when you should receive your rating), I would suggest reading this article. What should my permanent partial disability rating be for my neck surgery? That depends. Georgia law requires doctors to use a certain book to assign your permanent partial disability rating. Currently, doctors have to use the 5th Edition of the American Medical Association’s Guide to the Evaluation of Permanent Impairment. This book is over 600 pages. The spine is covered in Chapter 15 of that book. Most workers compensation neck injuries are rated using that chapter. There are a few different ways that doctors might rate a neck surgery, but the most common method is the Diagnosis-Related Estimates Method which is known as DRE. Using this method, neck injuries fall into one of five different categories. Almost all neck surgeries fall into Category III, IV, or V.
So, what does that mean? The definition has three important parts. The first is radiculopathy. This likely means you have pain, weakness, or numbness radiating from your spine into another area of your body as a result of nerve compression. The rest of this rating is a little more confusing. It discusses an imaging study which verifies a herniated disk that is the likely cause of the radiculopathy. This would typically be an MRI which shows a herniated disk where the doctor would expect it. In the case of surgery, it also says this rating covers “improvement of radiculopathy following surgery”. If surgery improves or cures the radiculopathy, it is not clear whether you have to have the MRI showing the herniated disk in order to get a Category III rating of 15 to 18 percent to the body as a whole. Surgical arthrodesis refers to cervical fusion. So, a workers compensation injury that requires a cervical fusion surgery should result in at least a Category IV rating of 25 to 28 percent to the body as a whole. This is the case even if the cervical fusion is completely successful and completely relieves all radiculopathy. The AMA Guides make this clear by giving an example of an individual who has a successful, one level cervical fusion which completely resolves the radiculopathy in the individual’s arms. The example indicates that person would qualify for a Category IV rating of 25 percent to the body as a whole. Category V ratings are pretty rare. One situation where a Category V rating comes up is when the neck injury requires an individual to use adaptive devices to compensate for the symptoms from the injury. The AMA Guides do not fully spell out what they mean by adaptive devices, but they do give a general example. The example indicates that an individual who had a cervical fusion and still has radiculopathy but has to use adaptive devices to grip and turn objects would qualify for a Category V rating. The question is how significant the adaptive devices needs to be. Would it be enough if you have to use a jar opener or other gripping device because of weakness in your hands and arms or does it require something more significant? The AMA Guides are not completely clear so it leaves room to argue that you may qualify for a Category V rating if you continue to have significant impairment in your arms after treatment. Are there other ways to assign PPD ratings for neck surgeries? Yes. Some of the other methods include Corticospinal Tract Impairment and the Range-of-Motion Method. These methods are seen less frequently than the DRE method. The Range-of-Motion method focuses more on combining the particular diagnosis along with measurements of spinal range of motion. It is used much less frequently than the DRE Method so I am not going to discuss it in detail here. What should I do if I have questions about neck surgery PPD ratings? Will you need ongoing medical treatment if you continue to have pain and other symptoms after neck surgery? Will your employer continue to provide you with a suitable job? Will your doctor give you the correct PPD rating? The best part of a free consultation is that it does not cost you anything. Hopefully, it will give you the information you need to determine the best way to move forward with your case.